The Highlands & Islands is one of the UK’s largest geographical regions; an area predominated by mountains, sheep and very few people. Wild and rather woolly, its outlying areas include the beautiful Isle of Lewis, in the cluster of remote islands off Scotland’s north-western coastline known as the Outer Hebrides. It is from its capital town of Stornoway, first founded by the Vikings in the 9th Century, that Colin Linklater hails. The islands are mostly Gaelic-speaking, so what emerges from Colin’s mouth is a typically ‘sing-song’ island accent that verges on Irish, peppered with remote Scandinavian hints and charmingly intoned, second-language English. Like a few islanders, he wanted to experience life beyond his sea-encircled home base and, having scaled the educational heights of becoming a marine engineer, he gravitated towards the oil industry and honed his skills, which earned him a decent crust and a seemingly endless contractual demand for his services. Despite his tender years, several of which have been spent on various contracts around the world, he married a beautiful Brazilian wife and produced two boys, both of whom are in senior education. Yet, he wanted something else in his life and, following a staccato introduction via road rallying to stage events, Colin set about developing a racing car that really ought to storm the infamous Hill at Goodwood, in the process showing a clean set of wheels to the likes of ‘The Gobstopper2’…although, not wishing to presage too much about the car he has largely self-built, stopping it from wheel-spinning at 120mph might be a more productive pursuit. During the glory days at Scoobyclinic, various personnel in the company had talked about installing the 3.3-litre, 247bhp, H6 unit from a Subaru SVX into an Impreza STi. In many ways, it would be an ‘obvious’ upgrade, although some technical issues might arise. However, an intense workload precluded such a job progressing at The Farm, however desirable, enigmatic and prescient it might have been. To be fair, it is not an unique proposition and has been carried out, with varying degrees of success, in a number of markets world-wide. Colin, who masks his own intensity with a wicked sense of island whisky-infused humour, pursued his own route to astronomical potency. A late third-generation WRX STi Impreza provided a base car, into which was slotted the flat-six lump from the SVX, with a pair of enormous Garrett Turbochargers occupying the void above both sets of header-pipes beneath the suitably aerated bonnet. The almost a third-longer engine dictated that the coolant radiator assume a spot beneath the rear hatchback, along with appropriate air trunking and ‘exhaust duct’ built into the lower diffuser. However, this would be no ‘ordinary’ Subaru lump, despite its standard crankshaft and Subaru-conventional drivetrain. It is also worth highlighting that the car was built by Colin and his friend, Ali Macloed, in a shed, on the Outer Hebrides. 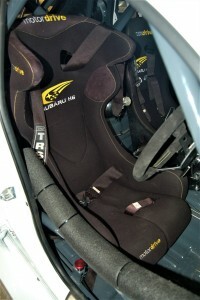 Fuelled appropriately, with the dry-sump tank positioned judiciously within the front passenger footwell, the neck of the ‘nitrous’ bottle can just be spotted between the driver’s and (very-occasional) front passenger’s MotorDrive custom competition seats, complete with H6 legends embroidered into their fabric. 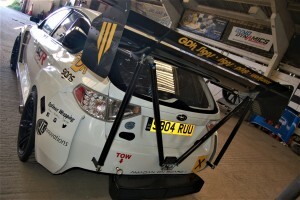 An SHP Engineering roll-cage adds to the car’s integrity and safety tackle…and does it need it…! That horizontally-opposed, six-cylinder unit kicks out an unfeasible 1,050bhp, according to the recently calibrated and spot-on dynamometer at The Farm. Naturally, the standard gearbox would not have been up to the task of managing the sky-high power and torque figures produced by Colin’s engine, which determined the fitment of a six-speed sequential replacement. With PPG, Xtrac and Hollinger all representing tens of thousands of Pounds’ worth of gearbox up-front costs, with running costs factoring-in regular extra charges, it was decided that a Modena unit would be fitted instead, complete with flat-shift electronics and paddle-shifters, to dispense with the need for an actuation lever. With over 1000bhp on-tap, it is surprising that Colin is able to talk about the tale, as I draw your attention to the essential ‘novice’s’ black-cross-on-a-yellow-background sticker applied to the rear bumper. 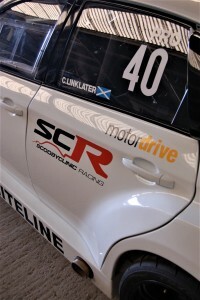 This is Colin’s first year on a tarmac racing circuit. However, his engineering skills are immense, an aspect that was highlighted, when he took his NitronR3 Race-suspended Impreza to Whiteline for geometry and corner-weighting. Both you and I might have believed that a H6-powered Impreza would be notoriously nose-heavy. Nope! Even Whiteline had to recalibrate its equipment to prove a point. Even with the driver and full tank of fuel installed, the fore and aft balance is a perfect 50:50. 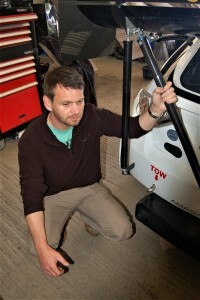 While the car is clearly a challenge to drive, an aspect that satisfies danger-seeker Colin’s psyche, its aerodynamics are well resolved, from a clean-sheet approach made by Colin in the lead up to the build process. It has been further enhanced by highly original fabrication work carried out by Steve Bargh at The Farm, when, working from a foam block, he modelled a pair of air intakes that replicate the rear quarter-windows of the Impreza to such an extent that, in a lateral view, they are unnoticeable. A similar approach was applied to the radiator ‘exhaust’ built into the rear diffuser. In fact, the SCR involvement grew from Colin’s need to have various spares sent by the company’s mail order service to his island outpost. He recognised the broad range of successes enjoyed by Scoobyclinic and SCR, which led to a smattering of technical issues being resolved at The Farm. 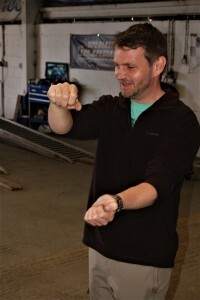 One of them lies in the transmission management, which is being re-programmed to ensure that the engine can increase revs for downshifts, rather than relying on Colin’s undoubted juggling skills to effect fast gearchanges, without destroying the ’box. While ingeniously multi-linked and rose-jointed throughout, the car’s ability to divide torque more effectively across its axles will aid its overall dynamics and ensure that Colin is less likely to be spat off circuit on a power-applied whim. Currently residing in a sizeable motorhome parked in the Derbyshire Dales, Colin is able to benefit from SCR’s first-class access to Blyton Circuit (in North Lincolnshire), which is ideal for test purposes and where R&D can be continued in a compliant environment. In fact, that is the point of the ‘SCR effect’. As home to the largest selection of new and used Subaru parts, components and panels, complete with a fabrication department and one of the finest paint and bodyshop operations in the UK, SCR, which is recognised as one of the foremost suppliers of professionally designed and developed tuning equipment, is a sound base from which to work. Factor in a practical and relatively local test facility and a rolling-road on-site, the SCR package is all-encompassing.